An MGH Research Scholar is studying the benefits of early palliative care. MGH Research Scholar Jennifer Temel, MD, says early palliative care can provide seriously ill patients with a better quality of life and help them live longer. Jennifer Temel, MD, clinical director of thoracic oncology and director of the Cancer Outcomes Research Program at Massachusetts General Hospital, is studying the effects of palliative care on patients’ quality of life. Dr. Temel is a Hostetter MGH Research Scholar 2017-2022. Palliative care provides an additional layer of support to patients with serious illnesses. Palliative care clinicians are trained in managing patients’ complicated symptoms and communicating with patients and families about challenging topics — such as prognosis, goals of treatment and end-of-life care. As an oncologist, I appreciate the expertise, compassion and support that palliative care physicians bring to my patients. Over the last 15 years, my team has been investigating the effects of introducing palliative care to patients earlier in their illness and in the outpatient setting. Traditionally, palliative care had been offered to patients staying in the hospital. Our research found when palliative care is involved early, patients have a better quality of life. We conducted one of the first and largest studies to evaluate the benefit of early palliative care. In this study, we compared patients who were receiving oncology care alone to those who were receiving both oncology and palliative care. Our research found when early palliative care is involved, patients have a better quality of life. They have lower depression and better communication with physicians and family about their illness. Our study and others also suggested that patients who received early palliative care lived longer than those who did not. We think that is because palliative care led to better control of symptoms, enabling patients to be more active. 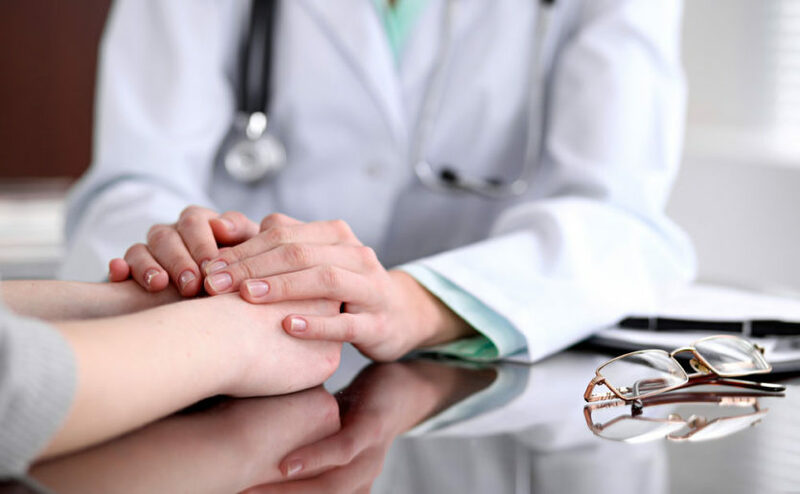 The study led to changes in the way palliative care is integrated into the care of patients with advanced cancer and new American Society of Clinical Oncology guidelines encouraging the use of palliative care for advanced cancer patients. How will the MGH Research Scholar award help? The MGH Research Scholar award is funding two of my studies. One is studying whether palliative care is beneficial for patients with a new leukemia diagnosis. Patients with leukemia can experience many side effects from chemotherapy. These patients also often feel sad or worried about their cancer diagnosis. We hope to show that palliative care can help patients with leukemia have a better quality of life and mood — similar to what we have shown in patients with lung cancer. In the second study the MGH Research Scholar award is funding, we are developing a mobile app with the help of the Healthcare Transformation Lab at Mass General. Leukemia is a diagnosis that often hits quite suddenly. Patients are admitted to the hospital right away and stay in the hospital for many weeks. Patients can have a great deal of stress and worry about their diagnosis and feel isolated from friends, family and work. The goal of the mobile app is to educate patients about their diagnosis and provide them with some skills and strategies to cope. The mobile app is designed so patients will play it during each week of hospitalization. In the game, patients navigate through a forest, with the goal of returning home. Each week the app provides new information about the diagnosis and treatment of leukemia and strategies for managing treatment side effects and worries. Because it is a mobile app, patients can access the information at a time when they feel most comfortable. We hope the app helps patients feel more comfortable and less worried about their diagnosis. What was your reaction to receiving a MGH Research Scholar award? I was surprised and happy that the Mass General Research Institute selection committee recognized the importance of my work. Research on palliative care is relatively new in oncology. What I love most about the research is it has a direct impact on patients and families by helping them deal and cope with their difficult diagnosis. I am confident that the research we are doing with the support of the MGH Research Scholar funding will improve the experience of patients with leukemia and other cancers.